A program to help CrossFitters get leaner, stronger, and blow past old PR's through improved nutrition that fits your busy life. Imagine that you never have to struggle with your nutrition again. The Practical Nutrition for Leaning Out course will teach you the proven system that has helped hundreds of my students blow through plateaus to become lean, high performance fitness machines—for good! No more falling off the wagon. You joined CrossFit because you want your body to look and perform its best. The fastest way to get the lean, strong and high performance body that you want is to dial in your nutrition. Whether you do CrossFit twice per week or twice per day, this course teaches you exactly how you need to fuel your body based on your goals without following a strict diet. 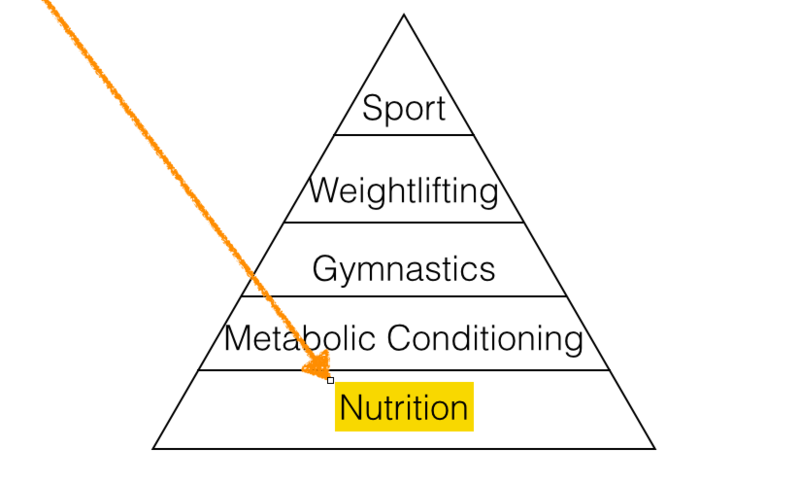 In CrossFit founder, Greg Glassman's, article "What is Fitness" he even puts nutrition at the foundation of the "hierarchichal development of an athlete" pyramid. In the article on fitness, recommends the Zone Diet, but there is one big problem with this recommendation. Diets will not get you long term results because they only work as long as you are willing and able to follow them, and the Zone Diet is very difficult to follow. Ask yourself, can you weigh and measure your food for the rest of your life? For those of us who have full-time occupations, families, and other responsibilities the answer is "no". You need a practical solution that works with your lifestyle but still supports your fitness goals. The Practical Nutrition for Leaning Out course will give you the knowledge you need to consistently make the best food choices possible, even when life decides to get in the way. How Is This Nutrition Course Different? This course combines a deep understanding of your busy lifestyle with time-tested research that is most relevant to CrossFitters in order to educate you about key nutrition concepts and how they translate to real actions! The "secret sauce" of this course is learning how to create a bulletproof system to be consistent with your nutrition habits every day ...whether you have the willpower or not. The best part? You won't have to commit any mental energy to performing your new habits after completing the course. They will become an automatic part of your day! Everything you need to consistently reach your fitness goals through nutrition. This course transforms both your mind and body using a careful mix of engaging lessons, practical tools, and experiential activities that you can complete at your own pace. What to eat, when to eat it, and how much based on your individual goals. What are macros, and how are they used by the body? 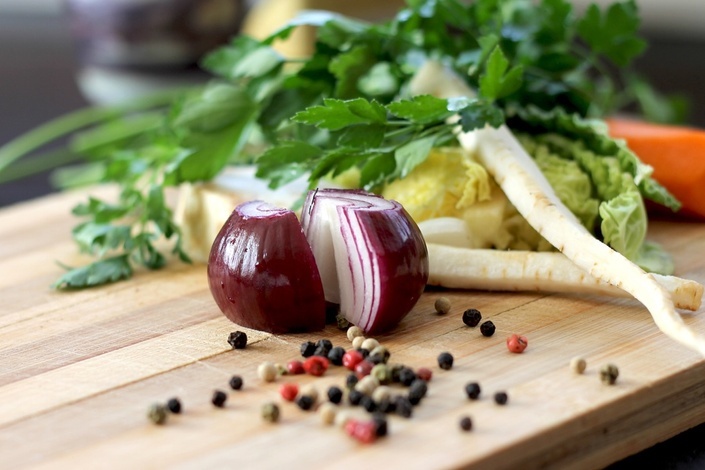 What are quality foods, and how to find them even when eating out or when traveling! Matt blazed the long and difficult trail from a short and skinny kid who rode the bench in every sport to an All-American Lacrosse player with opportunities to play professionally. CrossFit and nutrition were key pieces of this transformation. Matt discovered CrossFit back in 2006 and earned his CrossFit Level-1 a few years later. This led him to start studying nutrition after it helped him personally have the energy to excel in both college athletics and academics. 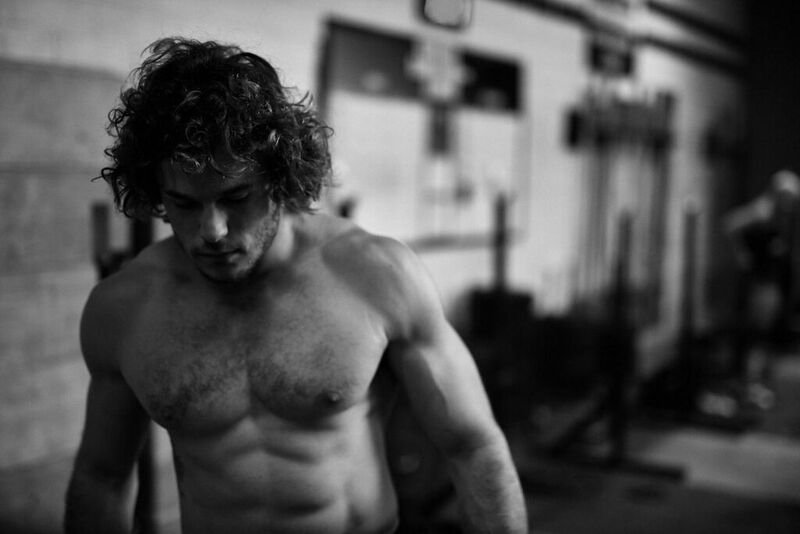 He is currently based out of Paradiso CrossFit in Los Angeles, CA and has helped everyone from athletes preparing for the CrossFit Games to overworked CEOs and startup founders achieve their goals through a mix of intelligent training, optimal nutrition, and taking a look at biomarkers to uncover hidden stressors contributing to their state of poor health. He uses a unique approach to fitness that focuses on realistic and sustainable lifestyle changes based on good science. You can find more from Matt on the Practical Nutrition Coaching blog, where he simplifies advanced nutrition and movement concepts to deliver bite-sized information and actions that you can take to reach your goals in record time. You are purchasing the Practical Nutrition for Leaning out Program and an initial consult with its creator, Matt, to make sure you know how to use the program to reach your unique goals. I have spent years helping people improve their nutrition and I always get the feedback that the accountability I provided them insured their success. Without accountability, it is much easier to fall back into old, unhealthy habits. When you have somebody checking in and giving feedback, and someone to answer your pressing questions it is much easier to stay on course. For this reason, I have included 2 different accountability and support options as add-ons to this course. You will get access to bi-monthly Q&A calls with me where you can ask your most pressing questions, and hear the answers to questions from the community that you may not have thought to ask! This will help you deepen your understanding of nutrition and how to apply concepts from the course in your unique situation. I can only take on a limited number of students every 2 months for these support options so that the quality of service remains high. If you are considering one of these options, act fast or you may have to wait two months before you can receive additional support! I take student feedback very seriously and want to make sure everybody is happy with the progress they are making towards their goals. If you are not satisfied with the course after finishing the first 4 lessons contact us within 30 days for a full refund.